Posted on 13. 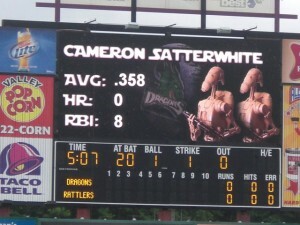 Jun, 2010 by Corey in All, Dayton Dragons Baseball, General Baseball. 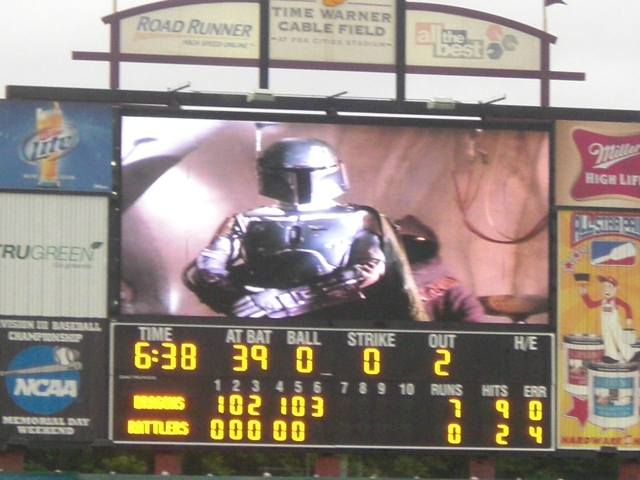 If I have said it once, I have said it 1000 times, I am a fan of ‘themed nights’ in minor league baseball. All the ones that I have seen the club does a really good job of preparing, and hopefully the fans will buy in also. 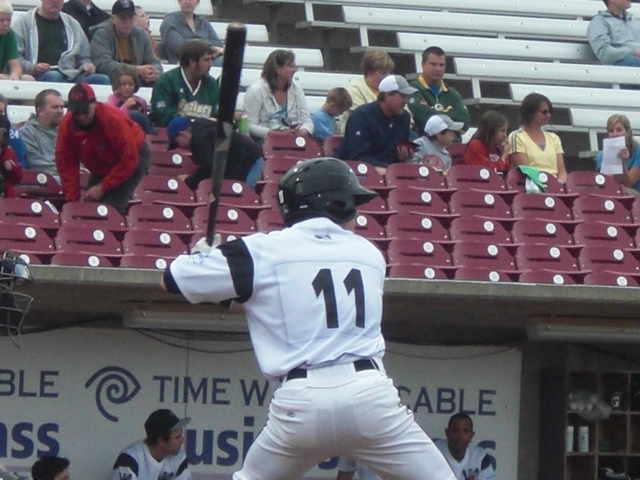 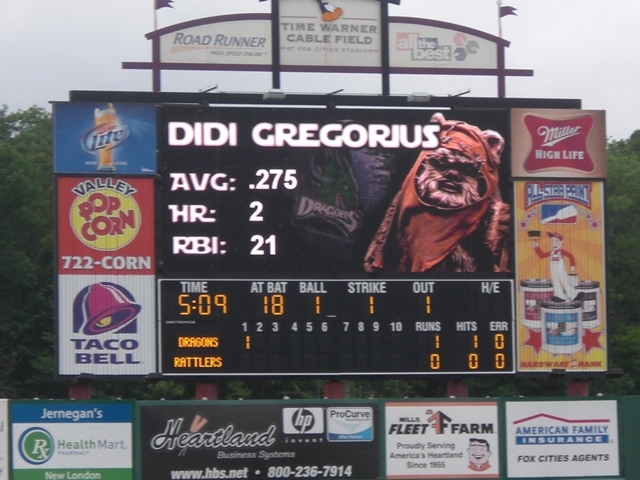 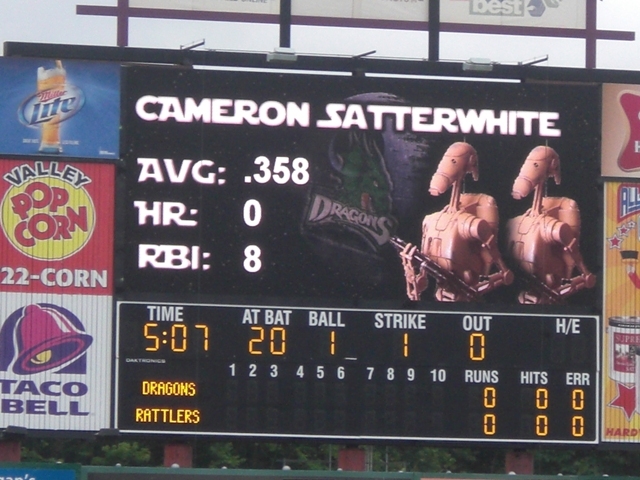 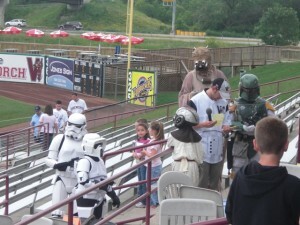 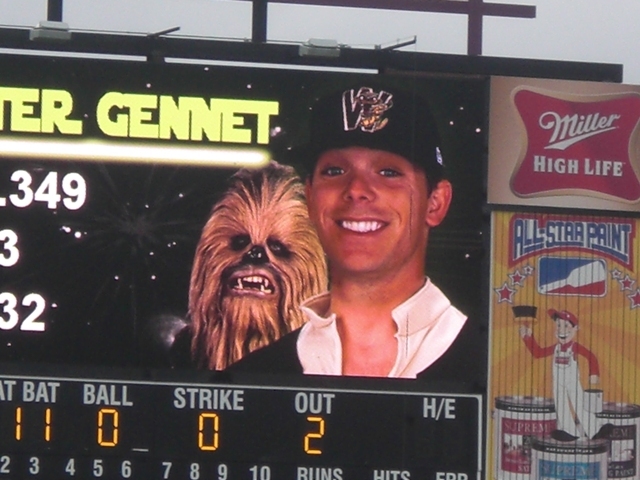 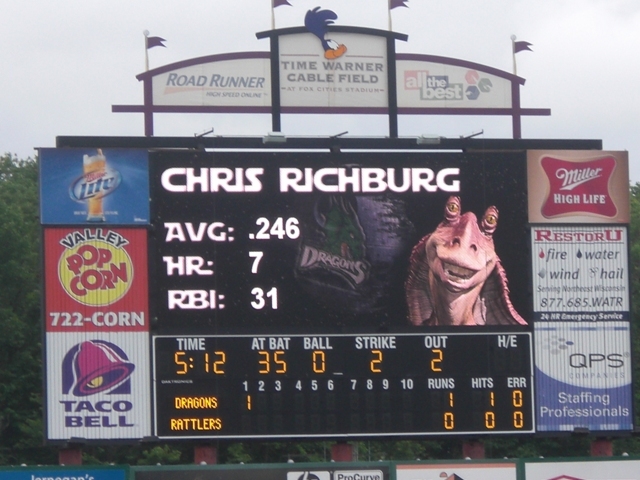 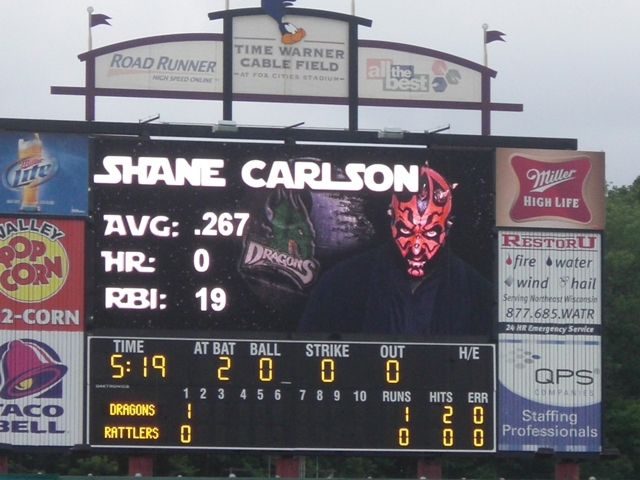 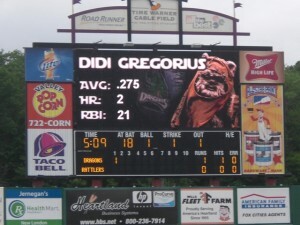 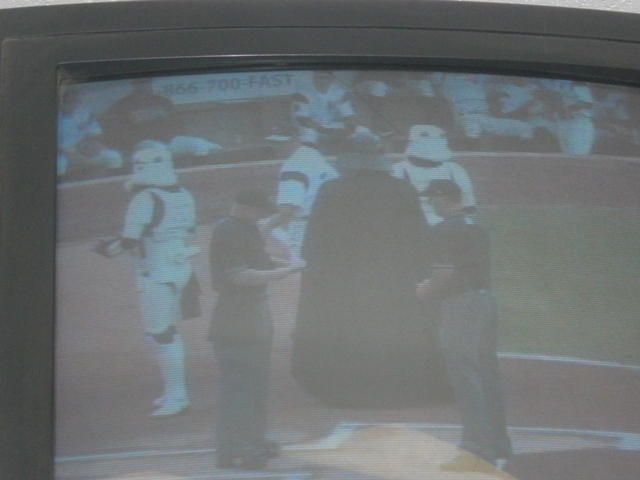 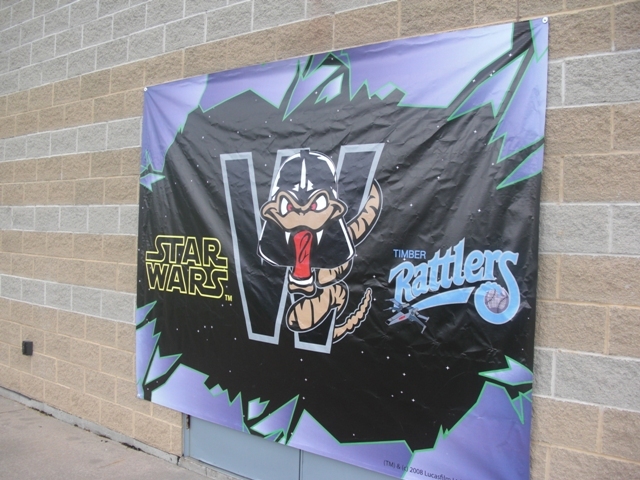 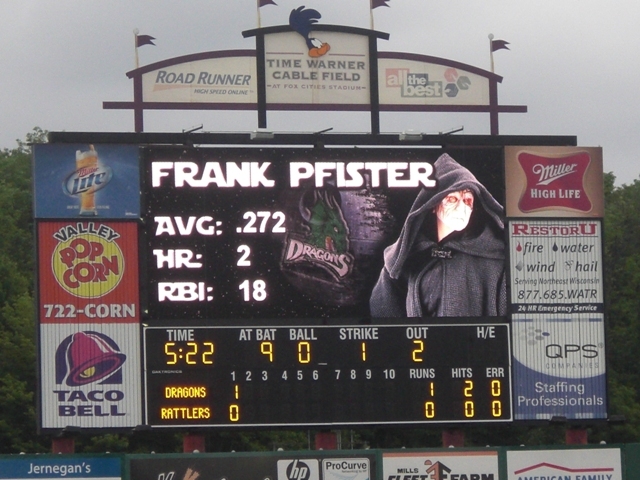 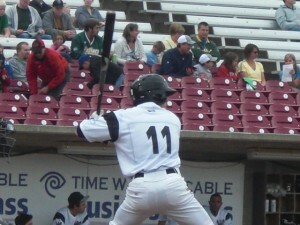 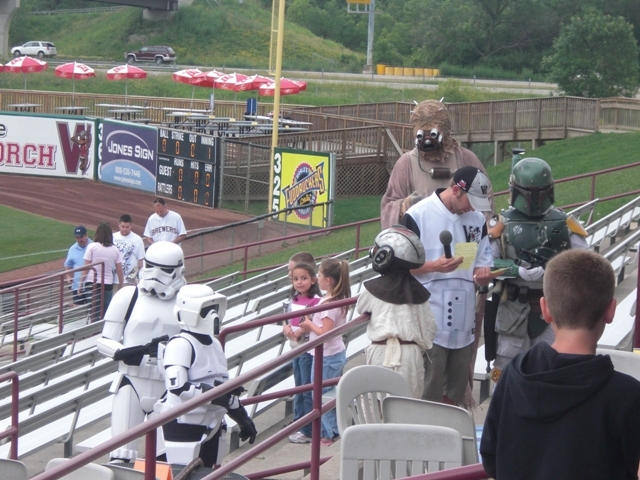 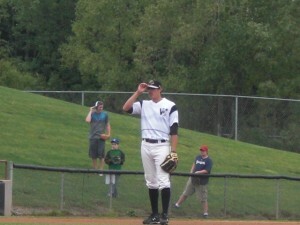 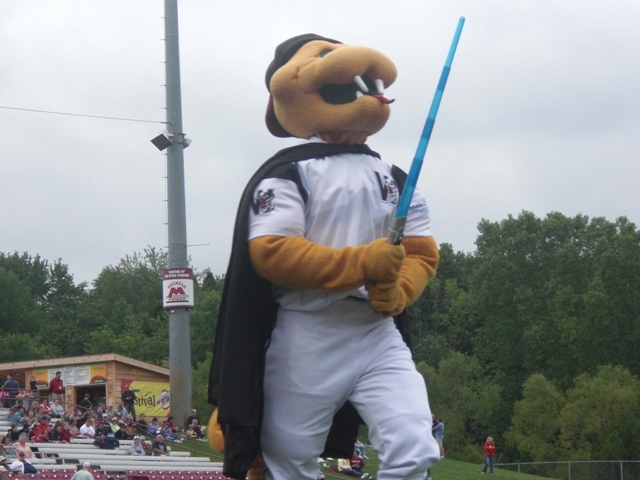 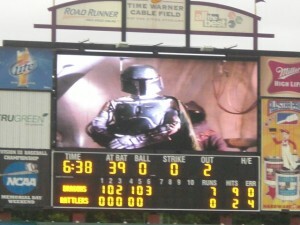 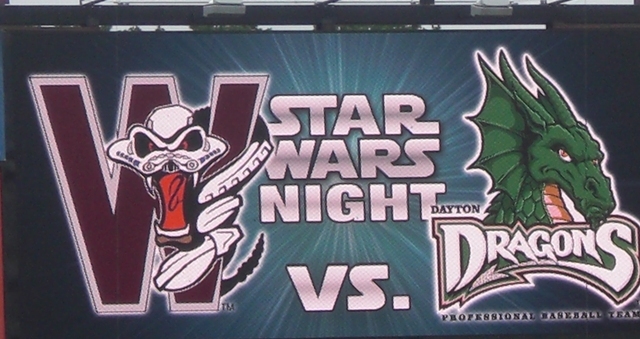 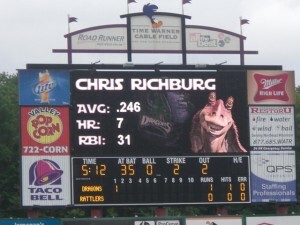 Last night at Time Warner Cable Field the Wisconsin Timber Rattlers held Star Wars Night. 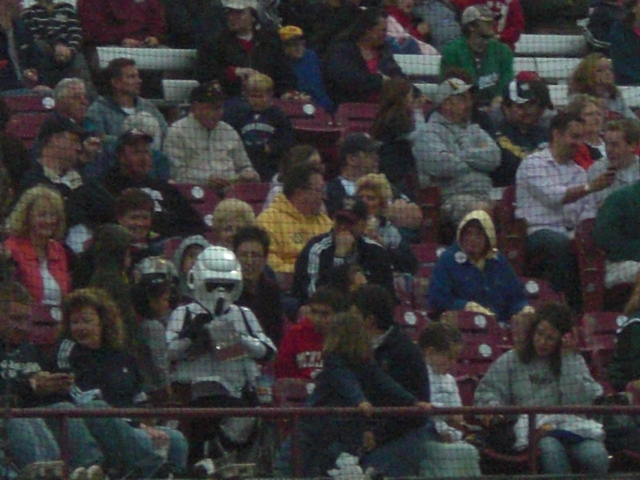 Outside of live action characters walking around, and tons of graphics on the scoreboard, the team wore special stormtroopers jersey’s. 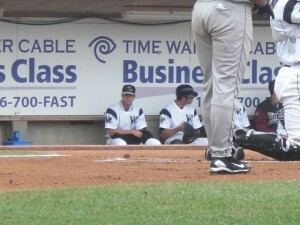 The jersey’s looked better off, since the bottom of them is important, but got tucked in when the players wore them. 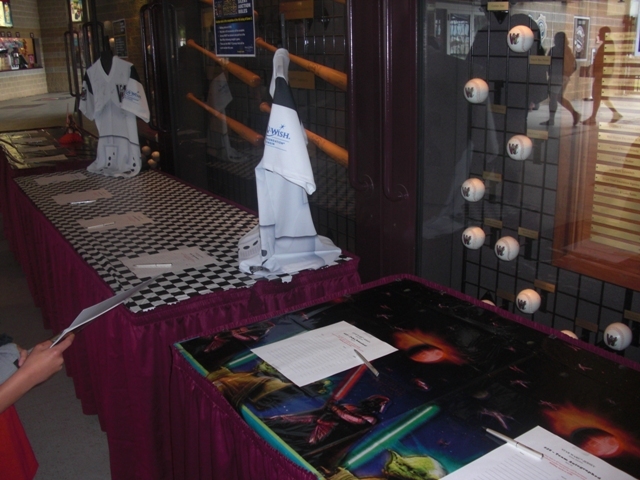 I tried to get some pictures of the evening to bring to you. 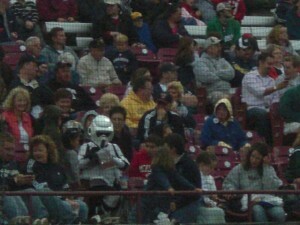 Was pretty neat to see kids with light savers in the stands. Who is scarier? 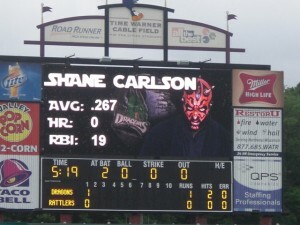 Shane or Darth Maul?